Not only will this calculator calculate the monthly payment and net interest savings, but it will also calculate how many months it will take to break even on the closing costs. For your convenience, a table listing current mortgage refinancing rates is displayed beneath this calculator..
Mortgage refinancing is available for several types of mortgage loans. Mortgage loans have become volatile in today's economy due to numerous economic and political factors that are unpredictable and significant. Certain international mortgage markets have been negatively affected by political unrest within certain sovereign jurisdictions. Interest rates for U.S. mortgage markets have been subsequently changed. These volatile price decreases and financial changes have critically affected today's mortgage lending institutions. Mortgage refinancing has been changed as well. Refinancing in today's mortgage market may be the combination of several economic factors. Economic instability has changed today's employment market in the U.S. and abroad. Long term employees are being asked to retire early or are being suddenly laid off. These lay offs are the result of the economic instability within the US. and the subsequent shifts to gain public support for certain products and services. Companies have elected to lay off workers in order to preserve various cash reserves or to save on employee benefit expenses. The massive employment change in the U.S. means that many home owners may not be able to keep their houses or may need refinancing. Refinancing often is a step towards regaining a positive cash flow within a family unit. Some home owners are considering refinancing a mortgage because of other cash flow concerns. These cash flow deficits may have resulted from a job lay off or a current employment position that makes less money. The job markets within the U.S. and abroad have shifted towards a global economy and towards a digital one. These critical changes are positive in the long run but can be destructive for any short term gain. Global business employees can bring in added job skills that may not be available within a domestic employment market. These global companies are investing in the U.S at a rapid pace, and this international investment can bring about sustained business ventures within the U.S. economy. This type of global economic shift can mean that current U.S. employment or domestic employment has diminished for once in demand workers. Loss of employment usually means that an individual's housing is at stake since most workers are paying for a housing mortgage. Refinancing is often an option for the employed worker who is working at a lower paying job but has a good payment history. The global crisis of 2008 created many concerns about the housing market. The wealthier home owners saw this situation as an opportunity to diversify into other housing markets and into other investment plans. The newly displaced in other global economies chose to move to areas that had stable financial and political environments. This movement and shift occurred frequently within the European housing market. Many wealthy home owners in these jurisdictions elected to move to the areas that did not have critical change demands. The wealthier homeowner paid cash for a new house in another political jurisdiction. Other investment strategies were used as well. This section of homeowners chose to invest in cash assets that included residential resale housing and other types of liquid investments such as derivatives and precious metals. Refinancing became a viable option for those workers who were able to gain other employment. These job positions paid less but were adequate for housing payments and daily expenses. Refinance became a part of the U.S. economy during the 2008 economic crisis and has become a viable part of the economy today. Refinancing means that the current mortgage on the house is financed again, and this refinancing option is usually at a lower interest rate. There may be additional features that can be included in a refinancing package for a homeowner. A homeowner may elect to add other debt into a refinance mortgage monthly payment. This allows the homeowner to pay back other expenses including credit cards and car payments within a one payment mortgage loan. This type of refinancing can assist the individual or couple in paying only one payment for several types of debts and paying these debts back at a lower interest rate. The current provider of the housing mortgage has certain rules and regulations that need to be followed in order to successfully close a new refinancing house loan. A current provider may have several options available. The types of lending products may be important if the home owner has certain limitations or expectations that are critical. A deal from the current lender may include a refinance on the primary residence or a refinance on a second home or investment property. A primary residence will have certain exclusionary options since the home owner is the full time resident there. A full time resident may choose better interest rates usually and may have a lower down payment amount for the new refinanced mortgage. There are additional exclusionary options for the primary residence that is refinanced. These refinancing options may not be available for second home refinancing or vacation or investment properties. Certain refinancing packages are available for the primary residence as well. These lending options for a refinanced mortgage include a FHA refinance that is government sponsored. A homeowner who qualifies for an FHA refinance loan needs to have a certain income within a restricted range, and the other assets of the homeowner are restricted as well. The U.S. government sponsors these loans and will pay these loans back to the mortgage institution if the borrower defaults under certain conditions. These default conditions have a planned insurance program that allows the U.S. government to use certain funds to pay back the defaulted refinance loan for the borrower under certain circumstances. These circumstances may include loss of job, health problems, bankruptcy, unforeseen events that qualify, and additional situations. A current provider may choose to offer fixed rate refinance loans, adjustable rate refinance loans, a type of home equity refinance loan, a second mortgage loan, a qualifying veteran's refinance loan, and a USDA refinance loan. There are loan down payment assistance programs for those refinance loans that need a certain amount of security down payment. The APR that is quoted for a home refinance loan may not be the same as the APR that is the final settlement amount. This type of interest rate will change as additional fees are added for the loan to close. The closing amount of the APR will be based on the interest rate that is available for refinance loans the day of the loan closing. This is a part of the www.hud.gov package program that is available to all new refinance customers. Certain regulations that are part of the lending industry are discussed with business administration experts, and their Internet presentations are found with www.exec.hbs.edu. The costs of any refinancing package include the points or fees that the lending institution charges to process the new loan. Costs for refinance can include a down payment or a portion of the mortgage paid back before the new loan is issued. Costs are frequently listed out for the new borrower in order to describe each cost. A new refinanced mortgage may have closing costs that are similar in amount to the original mortgage. A refinancing loan is another mortgage loan, and these costs are similar. A new borrower may look at the original loan expenses to get an idea of what to expect for the closing costs of the refinance loan. The refinance loan is usually higher in interest rate and can have additional closing costs and fees as well. A borrower who is thinking about refinancing and keeping an upside down housing property may look at various consolidation plans as well. Consolidation plans include home equity loans, second mortgages for the amount of the available equity, electing to only consolidate certain debts, and choosing a reversed mortgage for those home owners who are at least 62 years of age. Consolidation can mean that the house has two mortgages or an original mortgage and a line of credit lending product. A credit score is important for a refinance loan. The lending institution looks at this credit score to see how the individual has paid back any previous loans. Previous lending needs to be current and relevant. Paying on several small and minimally used credit cards can be a positive profile for borrowing. Credit balances cannot be high since this usually means that the borrower is overspending. Credit scores cannot be excessively low. A good credit score is around 700 or higher, and this level of credit is seen as a good risk by lending institutions. Lending institutions have certain safeguards in place that are meant to protect them from defaulted loans. This use of credit protection does not mean that a defaulted loan is productive for a lending institution, however. Most banking companies want these refinance loans paid back on time since these loans were approved for a certain reason. The length of the refinance loan can vary from half of the original loan time to an increase in the number of months to repay the refinance loan. The length of the lending arrangements may be shortened in order to pay back the house mortgage at an earlier time. This shorter loan payback time can allow a couple to retire earlier, for example. A longer time to repay a refinance loan from the original loan term can provide a lower monthly payment for the displaced worker with the lower paying job position. APR is the annual percentage rate or a finance charge for the mortgage loan. The finance charge is expressed as an annual rate. There are several ways to calculate the interest rate that is charged by a financial institution for a mortgage. A banking institution may present the interest rate on a loan as a nominal amount. The loan interest rate may be expressed as an effective APR rate as well. The annual percentage rate for a lending product of any kind is an important comparison factor for the loan. This interest rate may be compared to other loans of similar amounts as a method of choosing the best loan, for example. The APR is a commercial factor for the lending product that is critical. The lending APR is directly related to how the banking industry is performing at that moment in time. This lending factor is directly related to other financial markets as well. It can be presented as an adjustable and critical factor for the banking and financial markets in general. This rate may change as the additional investment markets are enhanced. The interest rates for certain derivatives products may vary according to how these products are being bought and sold. The derivatives markets and equity markets may change as these products are bought and sold on the open exchange markets. These financial products are local, but they are international as well. The global financial world is directly related on a large scale, and world events usually affect each of these specific product markets. The adjusted exchange rates may cause certain lending products to have a higher interest rate (APR) or a lower interest rate (APR). The recent global economic crisis that began in 2008 has continued even until today. There are several financial repercussions from this type of severe financial downfall. Several international countries have gone into debt in order to weather this credit crisis storm. The heavy debt has created other problems for these particular countries. The global financial markets have paid some of the consequences of defaulted sovereign debt. The local APR charged by a lending institution is significantly tied to this type of sovereign debt default and other credit issues that have occurred. The international housing market has been at the center of several of these economic storms as well. The local lender who takes an individual's mortgage application is well aware of any significant problems with any of its borrowers. The local mortgage lender has consequences to consider after taking any application for refinance. The APR value charged by the local county bank is significantly affected by any and all of these credit and debt default concerns. Refinance loan costs may be expensive. Some refinancing products have a higher simple APR that is presented to a refinance customer. A refinance for a customer may mean a riskier lending arrangement for the lending institution. Refinancing may mean that the customer has other debt that needs to be included in the refinance product, may have a lower paying current job that has decreased the original ability to repay the loan, has certain family or personal circumstances that have required a refinancing of the house, and other changes that may be riskier for a lending bank. A mortgage lender usually looks at the reasons for the refinancing need. Some customers may want a lower interest rate for their mortgage, but the underlying reason is often critical for a refinance lender. A current mortgage broker may have a finance charge that is expressed as a nominal APR simple interest rate. This simple interest rate is presented as a yearly rate, and this is a standard method of describing a mortgage product. A simple annual percentage rate for one banking institution may be compared to a banking product of another one. A current lender's simple APR may be compared to a local lender's APR, for example. One bank may have a better package than the other and may have a lower interest rate for the refinance product. A lower APR may mean that the refinance loan is less expensive. Usually a lower interest rate that is charged is a positive and critical factor for any refinance loan. The simple annual percentage rate is used to compare the commercial lending products available. This may be the starting point for a refinance customer. The refinance customer may choose one or two additional lenders to speak with about a loan. The next steps are important as well. The simple APR includes the interest rate that is charged for a fiscal year. The effective APR is the actual rate that may be paid. The effective rate is the fee plus any compound interest that may be calculated across a fiscal year. A compound interest amount is taking the next month and calculating the interest costs and taking the next month and calculating the interest costs and so on. The legal definition of the effective annual percentage rate that is actually paid on a refinance loan may vary greatly in each jurisdiction where the lending originated. There are several additional fees that may be added to the simple interest rate of a refinance product. A participation fee may be added to the original lending product expense. A loan origination fee may be added to the lending product. These fees are banker and banking fees that are a part of any banker's income. There are monthly service charges that assist in paying for the various tasks needed to keep up with the refinance loan. Late fees accrue when the borrower is late with the repayments. Late fees and penalties are compounded and can become large over time. The loan is serviced by the back office staff that manages the timely payments of the refinance loans and makes the collection calls to the late paying customer. Collection letters are sent out by this staff, and the service fees and monthly service charges pay for these upkeep charges. The mathematically true interest rate is the effective APR. The effective or mathematically true number is the actual amount that is paid each year on the refinance loan. In some jurisdictions it is legally required to disclose the additional costs or fees that are a part of any lending product. This legal requirement may be standard for any type of debt that originates within that particular country. This lending requirement is a safeguard for borrowers who may be considering a certain refinance banking product. This customer disclosure is in place in order to protect the borrowers against committing to a lending product that is impossible to pay back. The new refinance customer usually receives a set of lending instructions and certain loan disclosures. These lending documents may be read or taken to a legal professional for further analysis and explanation. The effective APR is usually a factor in any of these lending disclosure documents. The effective annual percentage rate may be compared against other banking offers as well. Displaying the effective annual percentage rate is intended to make it easier to compare lenders and loan options. This lending rate is a comparative standard that is used by most lenders. The effective APR may be used to make important decisions about any loan option and to choose the best refinance loan for that particular customer. There are other lending products that use an effective annual percentage rate comparison. Interest only loans may be researched, and the particular interest rates offered for the refinance loans may be compared effectively. The loan period that is chosen for the refinance loan is critical. The longer repayment periods are usually more expensive and can have a higher interest rate or interest cost. The shorter pay back times are usually less expensive, and the interest rates or expense rates for these loans are less. Making extra payments on any type of debt can allow for an early pay out of the original loan. The original mortgage loan may be paid back early by making two mortgage payments per month instead of one payment. Double mortgage payments are often used for an early pay off. This option may be chosen instead of refinancing, and the low original interest rates will continue to apply as well. This type of financing is often recommended by business administration divisions of major universities and can be researched further through www.johnson.cornell.edu. Borrowing from a local lender has several factors to consider. A community lender is usually the first point of a refinance journey. Borrowing from the current lender may make sense as well. These two banks may be the same. 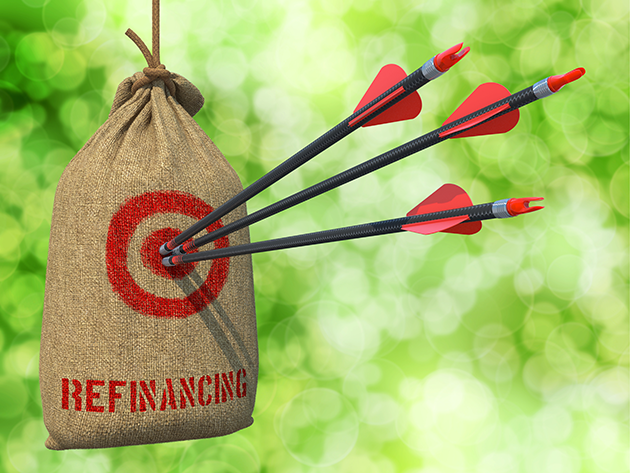 The first order of business for a refinance customer may be deciding where to apply for a refinance product. Other lenders are available, and one of these choices is the local mortgage bank. Whether to continue either of these choices may be an important decision. The APR or annual percentage rate is usually where a new refinance borrower starts during this decision process. Other options may be considered. The debt may be consolidated into a single loan for a borrower. Credit card debt, car loans, and personal loans may be consolidated into a single pay back amount for each month. The original mortgage product may stand as is, and the additional credit card debts may be consolidated into a separate loan. This can save on high credit card debt fees as well. There are currently several approved refinancing programs that have been authorized through the Obama Administration. These refinance programs are focused on helping underwater homeowners and providing an historically low interest rate for these refinance products. These approved refinance and government authored programs usually do not require a house appraisal and may apply to all loan types. These refinance loan programs were offered in 2013. The FHA streamline finance product is a refinance loan that is available to the current FHA mortgage holders. The FHA or fair housing authority endorsed this streamline refinance program May 31, 2009. The requirements to meet this type of lending refinance product are available to read through for the general public. The FHA rates or interest charges for these lending refinance products are relatively low in comparison to other standard lending refinance loans. The PMI rates are low as well. The PMI or private mortgage insurance fee is an insurance fee that is added to the monthly loan amount that needs to be paid back on time each month. The private mortgage insurance is purchased for the lending institution on the loan as an assurance against any loan defaults. The PMI amount can be waived if the loan amount has been paid down to a certain percentage of the total amount due. A large down payment on a refinance loan can allow the private mortgage insurance fee to be waived. An appraisal for the refinance loan is usually not required for an FHA streamline refinance product. An appraisal for the house can be expensive and time consuming. There can be certain requirements that need to be met before the house appraisal can be completed as well. Any structural damage to the house or a leaky roof will be noted on any house appraisal. The house repairs may need to be completed before the appraisal can be successfully filed with the bank. The house that is being refinanced through an FHA streamline refinance program does not need to be the owner's primary residence. The borrower may own the house as an investment property and qualify for this type of government sponsored refinance program. The Obama Administration has sponsored programs for underwater homeowners who may have a second home, and this general information can be further research through www.hud.gov. A VA loan refinance is available for those military veterans who wish to refinance an underwater real estate property. The VA offers interest rate reduction refinance (IRRR) plans for veteran homeowners who want to reduce their interest rate on their home mortgage. No appraisal is required for a VA loan refinance. This type of Obama Administration refinance lending is available to qualified veterans who no longer live in the property but wish to refinance a second home. The lending product is available to those military veterans who wish to refinance a house that is not their primary residence. These military veteran loans may be used by active military who are now living overseas. Deployed military can use this type of government sponsored lending to refinance a residence that is currently being rented as well. HARP refinance is the home affordable refinance program (HARP). This particular home refinance lending program was launched in 2009 and was designed to help homeowners with underwater mortgages. The HARP plan was created to assist with lower monthly payments and lower interest rates or loan expenses. The first version of the program helped some homeowners but did not reached as many underwater owners as the plan originally intended. A new and improved version of this refinance plan was released and called HARP 2. This second plan revised the problems that were noted with this first home affordable refinance program. The first plan was noted to have several complications. The second home affordable refinance program does not cap the loan to value at 125 percent but allows any loan to value. The second home affordable plan accepts more underwater loan scenarios and tends to be more encompassing. The USDA home loan does not require a house appraisal, but the current residence must be in a USDA footprint area and currently insured under the USDA program. The loan refinancing from a conventional loan or an FHA loan does not qualify with this type of government sponsored refinance loan. The conventional original loan or the FHA original loan must use other government sponsored lending products for refinancing purposes. No credit report is required for a USDA footprint area refinance. The current mortgage payments must be current, and all previous mortgage payments for the last twelve months need to be paid on time. An employment verification is required for these loans. An employment verification means that the employer may be contacted in order to verify that an applicant works there, what the salary is, and how long the employee has been at the particular job location. This lending product requires that the borrower make enough money each month to easily pay back the refinance loan on time. Certain underwater property guidelines apply as well. There is no cash out option for this refinance lending offer. This type of refinance loan will finance a current mortgage amount and a new guarantee fee (USDA PMI) which is usually 1.5 percent. The Obama Administration began a series of refinance lending products in 2009 after the credit crisis and housing crisis of 2008 and afterwards. The government sponsored refinance programs were developed to assist those underwater homeowners refinance their mortgages into more appropriate lending products. The credit crisis tended to create certain lending restrictions associated with traditional lending. The local banks or original mortgage holders may have developed additional lending qualifications. The government sponsored programs targeted certain demographic populations that included FHA mortgages, VA mortgages, military housing, and USDA home loans. These programs continue today and are available to these particular lending populations. The home affordable refinance program began on a good note but needed further revision as some of the lending requirements seemed to be too complicated or restrictive. Underwater housing has gained successful assistance throughout the various economic challenges that have existed since 2008. Several of the lending products that are a part of the Obama Administration refinance program have various requirement waivers. The FHA streamline refinance does not require a house appraisal, and the borrower does not need to live in the property in order to qualify for an FHA refinance. No appraisal is required for the VA loan refinance program as well. This lending program is available to veterans who no longer live in the property as a primary residence. The HARP 2 refinance plan does not require the original 125 percent loan to value. The USDA home loan program has waived the appraisal for the house but does require that the residence be in a USDA footprint area and be currently insured under the USDA program. No credit report is required for the USDA home refinance loan, but the borrower needs to verify employment. The refinance application process can be simplified by using several tips and strategies. Finding the right lender is the first step in any loan process. The lender is important because this banking institution will determine the interest charges for the refinance loan, will determine the collection process if the loan is in default, and will determine the servicing benefits for the refinance product. The original lender for the house mortgage is a good place to start. The banking methods and benefits are already known to the borrower. The current lender has certain methods of communication with the borrower that may be beneficial. Online servicing of the refinance product can allow for several payment options and account options that a borrower may be looking for. The current lender has certain banking personnel that may be helpful to the current borrower. There may be negative features of the current mortgage that the borrower would like to replace. The banking representatives may be hard to reach, for example. Calls may not be returned quickly, or there may be other negative features for the current mortgage. The interest rates for the current loan may be high. The length of the current loan may be inappropriate for the borrower's financial needs. The length of the new refinanced mortgage can be shorter and can allow for an early retirement plan, for example. The interest charges for a new lender may be more appropriate as well. The length of the pay back for a new loan is critical since this pay back term usually is an important determinant for the interest rate charged for the refinance loan. A shorter pay back period can have a lower interest charge from the bank. The amount of down payment for the new refinanced mortgage is critical. A large down payment on a mortgage can result in lower interest charges, a waiver of a PMI requirement fee, and a waiver of other surcharges as well. A sizable down payment can result in the loan being paid back with smaller monthly payments, and the length of the refinance loan may be shortened. The type of loan that is selected is critical. There are certain refinance loan plans available for FHA customers, USDA customers, and VA military personnel. Other government sponsored programs are available for those who have more traditional original loans. The type of loan selected may result in certain fee waivers and waivers of other expensive requirements as well. The government sponsored programs are available for analysis through their website www.hud.gov. The cost of refinancing can be reduced by selecting certain sponsored programs that allow for qualified fees to be waived. Other loan costs can be reduced by choosing a lender who offers better interest rates or charges for the loan. Refinance costs can be lowered by looking at several lending options before selecting the final lending product. Other lending options are available for the homeowner who wishes to refinance an existing house mortgage. Loan consolidation is available. The present credit cards, automobile loans, and personal loans may be consolidated into a separate personal loan that is paid back in a separate payment. This banking institution may be chosen locally as well. There are national lenders who offer loan consolidation plans. Doubling a current monthly payment on a house mortgage can provide a quicker mortgage pay back. This will keep the original mortgage but pay back two payments monthly until the full loan is paid out. This plan helps to avoid certain refinancing fees and refinancing down payment requirements. There are cash out loans that may be chosen. A cash out refinance loan first pays out the original mortgage and pays out a cash amount as well. The cash amount is taken from any equity that has accumulated in the house value. This type of refinance loan usually requires a house appraisal in order to determine the amount of equity that the home owner may have accumulated. Some residential properties have equity accumulated because of a sizable original down payment for the home. Other home properties are currently underwater and may not have an equity value. A current appraisal usually determines this residential value for the lending institution. Interest only loans are possible. This type of refinancing can bring about a low monthly down payment because only the interest is paid back each month. Those home owners looking for a low monthly payment may find that this type of lending is attractive. Interest only loans usually have a balloon payment later on in several years, however. A large balloon payment will be required in 5 to 7 years, for example. These large payments can be refinanced, or the house may be sold at this juncture. There may be certain tax implications to consider. Taxes my be due on the cash out funds that are taken from the home equity, for example. Refinancing will allow certain fees to be deducted as homeowner fees as well. The lower mortgage payment may reduce the price of the home. A current house appraisal may find that the home is worth less in the current economic market. A reduced house price can bring about lower property taxes for the house. Any upgrades or repairs to the house can be used as tax deductions for the year that these alterations occurred. Some jurisdictions may allow certain types of amortization for the house upgrades as well. Rental income from the residential properties should be listed as income for the appropriate tax year. Rental properties can create home repair tax deductions for the homeowner. A rental property in a jurisdiction that is outside of a city limit can have fewer tax bills. A homeowner who lives in the rental property for a portion of the fiscal year can have tax savings for this property. The refinance bills for this rental property can be used as property deductions in some jurisdictions. A resale of a home with a refinance mortgage can have several implications. The sold property will need to pay back any mortgage liens that have additionally been placed on the residential property. A cash out refinance loan may have a lien that is similar to a second mortgage and may need to be paid out in a certain order of value. Second mortgage liens tend to have their own rules and regulations. This type of lending should be reviewed by legal counsel before being finalized. Interest only loans will need to be satisfied as well. The interest payments include a lien for the balance of the refinance loan on the property. This type of refinancing loan may have certain implications at closing, and there may be additional closing cost fees to consider. Certain of the refinance loan products have their own rules and regulations and should be researched thoroughly if the home owner plans to resale the property later on. Staying in the property for the duration of the refinance loan may be simpler, and these added lending requirements would not apply in specific circumstances. Legal counsel may be necessary in order to successfully refinance several of these exotic lending products. Closing on a refinance loan may be similar to the original loan closing. The homeowner who uses the original lender may not have any surprises. A different refinance lender may have other methods that are unfamiliar. The new lender should send certain details about what to expect at closing. These refinance closings are performed in an attorney's office and take only a short time. The documents are signed, and any closing cost fees are paid at that time. The attorney gives the new borrower a copy of what has been signed. A cash out refinance loan will have a bank check from the attorney's trust fund. The cash out check is picked up at the refinance loan closing meeting. Refinancing in today's financial market has several options available. There are certain government sponsored refinance programs for the homeowner who may be underwater and have negative equity in a residential property. There are several tips to follow to ensure that a refinance lending process is successful and seamless. Finding the right refinance lender is important. Each lender has certain refinancing products available. There are several government sponsored programs that most commercial banks should have in their product plans. The type of loan chosen is critical. There are certain advantages to gain by choosing a VA loan for a military residence, for example. Certain requirements may be waived under various and specific circumstances. The amount of the mortgage down payment is important, and the length of the loan is a significant determinant of the cost of the residential refinance loan.